EMBARQ India’s Data Visualization Challenge opens important data sets to the public, empowering citizens to change Indian cities’ understanding of urban transport. Photo by mydearboy/Flickr. 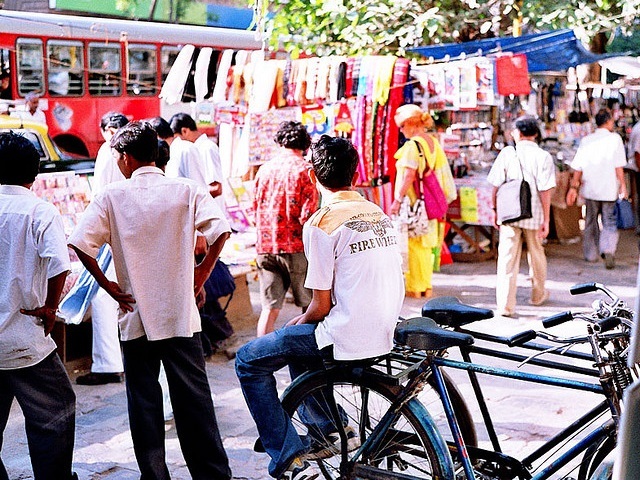 EMBARQ India spoke with Jyot Chadha, head of EMBARQ India’s Initiative to Catalyze Urban Innovations, about the launch of a new Data Visualization Challenge, which encourages citizens to use publicly released data to create data visualizations that shed light on mobility in Indian cities. The visualizations will serve to highlight potential uses of public data, encouraging city agencies across India to make data public and foster innovation. What is the Data Visualization Challenge? In addition to using data sets released for the challenge, participants are encouraged to do their own research along the theme of urban mobility, using other data from verifiable sources and clarifying their research methodologies. Visualizations will be considered for six awards: most beautiful, most creative, most comprehensive, most insightful, most innovative, and best overall. 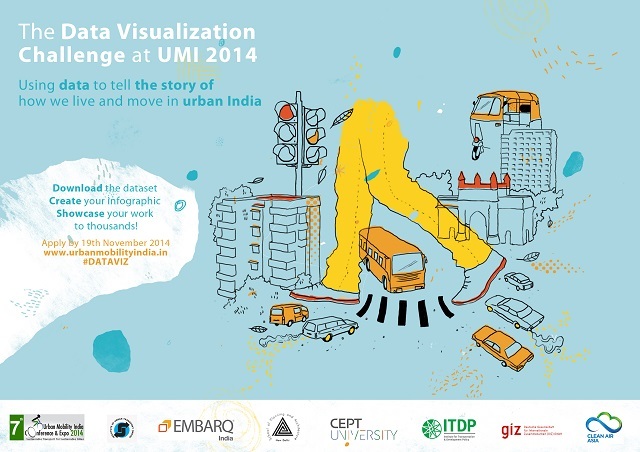 Submissions are due by November 19, 2014, and the finalists’ work will be showcased at the Urban Mobility India (UMI) 2014 Conference, organized by the Ministry of Urban Development in New Delhi from November 25 to 28. The Honorable Minister for Urban Development, Mr. M. Venkaiah Naidu, will present the award. What is the larger idea behind this challenge? JC: At EMBARQ India, we’re keen on facilitating and catalyzing innovation and entrepreneurship in the fields of transport and urban development. In the last decade, we’ve seen the emergence of technology being used to improve the quality of service in public transport. This digitization has resulted in huge amounts of data being captured, ranging from passenger ticketing information to real-time vehicle tracking. When analyzed, this data can tell us a lot about how people live and move about in cities. In addition, this data can also play an important role in sparking innovation in these areas. For example, app-based programs that help commuters navigate cities better, or dynamic pricing mechanisms based on travel patterns. We have seen from global examples that cities and transit agencies benefit from making their data public. Take Mexico City, for example, within a month of the city’s transit agency opening their data, data sets were downloaded 683 times, and the data was subsequently used to power 28 apps that saw a total of 5.5 million downloads! This evidence suggests that opening data leads to innovation, which results in substantial benefits to passengers and potential users of transit services. How will you use the results of this challenge to influence agencies to open up their data to the public? JC: Selected entries from the Challenge will be displayed at UMI 2014, and viewed by hundreds of attendees from various transit and development agencies, civil society, academia, and others. We hope that by using this platform to showcase what can be done with data, it will serve as an initial demonstration to agencies that opening up their data to the public will benefit both agencies and commuters. The Data Visualization Challenge is a cost-effective and robust way to engage with the community of technologists, urban designers, data scientists, and businesses in Indian cities. The Institute of Urban Transport is revolutionizing this space by opening up its data sets to the public. Through this challenge, EMBARQ India hopes to encourage more agencies to make their data publicly accessible, and encourage public participation that can improve the quality of life in cities.